Soaring freely above genres, occasionally diving into one or the other, Malin Dahlström and Gustaf Karlöf make music together as Niki & The Dove. The foundation for the collaboration is a profound love and respect for music that gives both members a hunger for the exploration of new music. 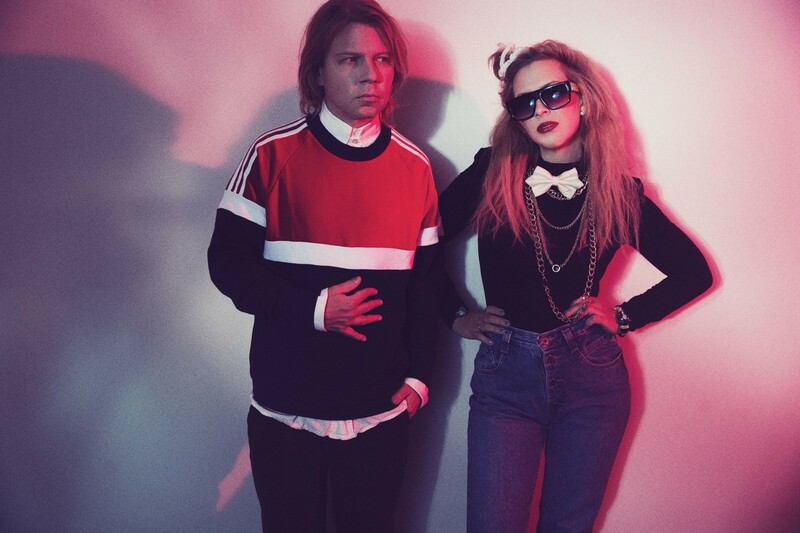 Malin and Gustaf was first brought together in Gothenburg, where they played together in different bands before forming Niki & The Dove in 2010 and releasing the debut single ‘DJ, Ease My Mind’. As a song that tells the story of what a simple pop track can do to a human, it was a fitting introduction to the band’s outlook on the beauty of music. The songs were there before the band united, and what happened after the formation seemed like the logical progression. The following full length album, ‘Instinct’, came one year later and consisted of chosen parts from the EP:s and previously unreleased tunes that landed Niki & The Dove a nomination for the prestigious BBC Sound of 2012. Four years after ‘Instinct’ another Niki & The Dove album was released. Under the title ‘Everybody’s Heart Is Broken Now‘, thirteen pop songs were gathered, taking off from a song writing tradition where melody and the craft is focused upon. Among the tracks are the singles ‘Play It On My Radio‘ and ‘So Much It Hurts‘, two songs that bring to mind yearning eyes meeting across a dark dance floor. As inspiration for the sound, Malin and Gustaf kept certain catchwords in mind during the creation of the record. Two of those were ‘Dance Romance’ and ‘Bladerunner Disco’, fitting nicely onto the romantically futuristic album. Starting with one foot in days passed, Niki & The Dove aspire to step into the future, holding the music they love near to them wherever they may go. The finished product takes what started with ‘DJ, Ease My Mind’ in 2010 a step forward. If ‘Instinct’ covered everything that happened before the formation of Niki & The Dove, ‘Everybody´s Heart Is Broken Now’ is a divination regarding what is yet to come. The album led them to be nominated in not only one, but three categories at the 2017 Swedish Grammy Awards. They also won ‘Pop Of The Year’ at the P3 Gold Awards 2017, with unsuspecting single ‘Sushi King’ re-aligning the duo as an unpredictable and ever powerful force is Swedish music.